The Pennsylvania Department of Corrections is divides their inmate population based on the needs and offences of the incarcerated offenders. If permitted, inmates are placed in the facility that may remedy the underlying causes of their offense in the hope that they can be effectively rehabilitated. Once there, they are supervised by the state's 14,893 correctional officers who oversee educational, health, confinement, and leisure activities. As well as placement in a state prison like SCI Huntingdon or SCI Rockview, inmates may be placed in federal custody at Federal Correctional Institution, Schuylkill or in the state's extensive network of county jails. All use state resources to function and communicate effectively between facilities. As of recent figures, the state of Pennsylvania has 50,312 incarcerated inmates across 27 state prisons; because of the growing prison population and its diverse needs, state and federal economists predict that the demand for qualified personnel will continue to rise by approximately 5% over the next decade to reach 2,799 officers. As such, the state Department of Correction is recruiting men and women for front line correctional officer positions. Interested parties must meet the department's hiring criteria, and be prepared for intensive on-the-job training. Read further on this page about how correctional officers can make a difference while advancing through a dynamic career. Valley Forge Military College ranks 1st in our rankings with nineteen students completing programs in law enforcement administration out of a total eighty-six graduates in the 2012-2013 school year. Lackawanna College ranks 2nd in our latest rankings with 117 students completing programs in criminal justice and criminal justice out of a total 812 graduates in the 2012-2013 school year. Pennsylvania State University-Penn State Wilkes-Barre ranks 3rd in our rankings with 31 students graduating from programs in criminal justice out of a total 216 graduates in the 2012-2013 school year. Mercyhurst University-North East Campus ranks 4th in our rankings with ninety-nine students graduating from programs in criminal justice out of a total 758 graduates from the 2012-2013 school year. Greater Johnstown Career and Technology Center ranks 5th in our rankings with thirty-one students graduating from programs in criminal justice out of a total 546 students. Thiel College ranks 6th in our latest rankings with twenty students completing programs in law enforcement administration out of a total 358 graduates in the 2012-2013 school year. 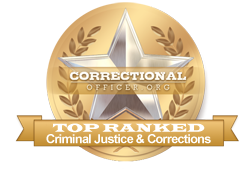 Keystone College ranks 7th in our rankings with 33 students completing programs in corrections, criminal justice, and law enforcement administration out of a total 596 graduates from the 2012-2013 school year. Delaware County Community College ranks 8th in our rankings with 161 students completing programs in criminal justice out of a total 3,216 graduates. Mansfield University of Pennsylvania ranks 9th in our latest rankings with 62 students completing programs in law enforcement administration out of a total 1,404 students in the 2012-2013 school year. Lock Haven University ranks tenth in our latest rankings with ninety-nine students completing programs in law enforcement administration out of a total two thousand graduates in the 2012-2013 school year. University of Pittsburgh-Bradford ranks 11th in our latest rankings with twenty-nine students graduating from programs in law enforcement administration out of a total 702 students in the 2012-2013 school year. Point Park University ranks twelfth in our rankings with seventy-three students graduating from programs in criminal justice out of a total a thousand graduates in the 2012-2013 school year. Lincoln University ranks thirteenth in our rankings with 37 students completing programs in criminal justice out of a total 972 students from the 2012-2013 school year. Northampton County Area Community College ranks 14th in our rankings with 135 students graduating from programs in criminal justice out of a total 3,550 graduates in the 2012-2013 school year. Shippensburg University of Pennsylvania ranks 15th in our latest rankings with 143 students graduating from programs in criminal justice out of a total three thousand students. York College Pennsylvania ranks sixteenth in our rankings with 78 students graduating from programs in law enforcement administration out of a total 2,142 students in the 2012-2013 school year. Pennsylvania Highlands Community College is a public, 2-year college located in Johnstown, Pennsylvania. The college offers associate's degrees as well as certificates in a variety of disciplines and focuses on offering affordable and accessible education options to its students. Applicants who are seeking a career in law enforcement or corrections are encouraged to apply to the college's department of Criminal Justice. Successful graduates will be able to apply to the state's recruitment departments for corrections and other law enforcement career paths. Alvernia University ranks 18th in our latest rankings with forty-seven students completing programs in law enforcement administration out of a total a thousand graduates from the 2012-2013 school year. Community College of Beaver County ranks 19th in our rankings with 33 students graduating from programs in criminal justice out of a total 948 graduates from the 2012-2013 school year. University of Pittsburgh-Greensburg ranks 20th in our rankings with eighteen students graduating from programs in law enforcement administration out of a total 544 students from the 2012-2013 school year. Candidates who have passed the assessments may be offered up to a year of on the job training in order to learn skills such as inmate behaviour, facility policy, and emergency procedures. Only candidates who pass all aspects of training will be retained after the training period is finished. The state Department of Corrections in Pennsylvania encourages civic-minded citizens to look toward the field of corrections for fulfilling and lucrative career opportunities. At this time, the median income for correctional officers throughout Pennsylvania is higher than the national average at $48,000, with the national median income at $39,800. According to occupational data for the state, available at http://www.careerinfonet.org/occ_rep.asp?next=occ_rep&Level=&optstatus=011000000&jobfam=33&id=1&nodeid=2&soccode=333012&menuMode=&stfips=42&x=64&y=9 and published by CareerInfoNet.org, state trends are predicted to experience a 2% growth curve from now until 2022 as compared to the national growth rate of 5%. This predicted growth pattern translates into 500 new openings and existing vacancies to be filled annually. The table below lists career information obtained from the BLS for correctional officers in Pennsylvania. The table is sorted by total employment, with the largest metropolitan areas listed first.